Ambiguous Terms in Your Will: What is a Court To Do? What Happens During Probate (Part II)? 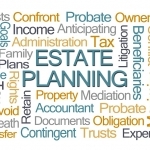 The purpose of estate planning is multi-fold: estate planning designates the distribution of assets in accordance with your desires and prevents potentially disastrous family fights. The last thing you want upon passing from this plane of existence is to leave your loved ones embroiled in a nasty fight over your assets. Meet with an estate planning attorney to create a bulletproof will, trusts and other estate planning tools to ensure your passing does not trigger completely unnecessary family drama. 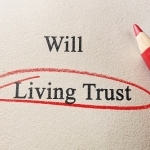 If your will has unequal bequests, do not leave your loved ones hanging and wondering: “Why?” Though you might have excellent reasons for leaving certain relatives with more money and possessions than others, the bottom line is those who receive less will feel unfairly treated. You can minimize the pain, heartache and potential for family conflict by explaining unequal bequests. If your planned distribution of assets is even slightly uneven, schedule a family meeting right away to explain your logic. This meeting will prove uncomfortable yet it is necessary to ensure your family does not end up hating one another after you pass away. Use this opportunity to explain exactly why you are distributing your assets so your family members do not have to make up their own reasons and constantly wonder why they weren’t most favored. Estate planning attorneys are often contacted by clients who think family members are pilfering from an estate. Some executors go as far as ghosting the entire family or delaying the distribution of assets by proceeding extremely slowly. It is a mistake to name the executor according to the family hierarchy. Select an individual with the skills necessary for the job as opposed to someone who is elderly. 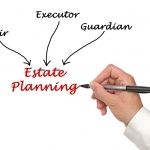 The individual you select as executor should be organized, fair and responsible. In some cases, it makes sense to appoint a professional fiduciary or a corporate trustee as executor. Professional fiduciaries are optimal for small estates. Banks provide trustees for especially large estates, typically valued at half a million dollars or more. Most people are primarily concerned their surviving spouse and children enjoy a high quality of life in the years and decades ahead. However, you must avoid the temptation to give a considerable amount of money to someone undeserving or too young. Furthermore, tying up large amounts of money for several years or decades is a major mistake. Consider a situation in which a trust is established so a child can receive money following the death of a spouse. If the surviving spouse is young, the wait could prove quite long. Others make the mistake of paying an inheritance across several years. If distributing is stretched out across decades or if middle-age kids are restricted in what they can do with their inheritance, the money might not prove that helpful. Every single item you own that has any significance should be accounted for and assigned to the proper party. Whether it is a piece of jewelry, an antique or a family holiday decoration beloved by all, just about anything can trigger a nasty fight with lasting repercussions. 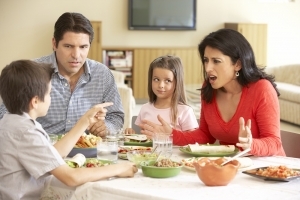 Make the decision now about who gets what so your family members are not left to argue over who is deserving of what. In fact, some go as far as showing their property distribution list to their loved ones after meeting with an estate planning attorney. The logic in showing family members who gets what is to quell potential family drama. Plan accordingly with the assistance of an estate planning attorney and your family’s focus will be on the quality of the life you lived rather than divvying up your material possessions. 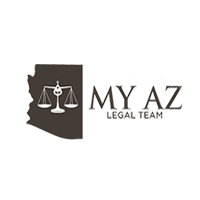 Click here for information on popular myths about living trusts in Arizona. 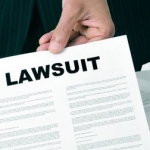 Why Do People Choose an Arizona Durable Power of Attorney?